Irish punks Fontaines D.C. released their debut album ‘Dogrel’ last week, to widespread critical acclaim. They’re in the midst of a sold out UK tour and we’re certain that their rise to superstardom is well underway. In the latest of our Why I Love… features, we caught up with their UK promoter Dan Roberts of DHP Family to hear all about why he loves Fontaines D.C., and why you should check them out immediately. Can you summarise your love for Fontaines D.C. in one paragraph? In a time where I was feeling disenchanted with the music industry, I heard a lyric that slapped me around the face. “Charisma is exquisite manipulation & money is the sandpit of the soul”. What an acute way to describe the environment in which many of us work. It was cathartic to hear. They are incredible lyricists, songwriters & people. Authentic & refreshing – they deserve all the success & happiness in world. Do you have a particular anecdote or memory attached to the band? They are making memories every day on this April tour, playing some of the best small venues in the UK. (Thekla, Brudenell, Gorilla, King Tuts, Rescue Rooms, The Garage). For me personally, it would be packing all of them into my house in the early days when hotels were out of budget, sleeping 6 to a kitchen on acoustic foam because I didn’t have enough bedding. We’re not saying you should mess with perfection, but if you could change anything about Fontaines D.C. what would it be? Absolutely nothing. It’s raw, honest & unadulterated. They are in the early stages of their career, they’ve got plenty of time to grow, I want them to enjoy the journey. 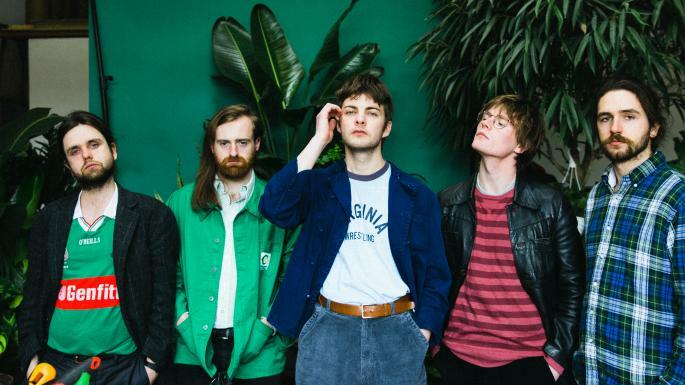 How would you persuade any music fans – or non-music fans for that matter – to listen to Fontaines D.C.? Hyperbole is tacky, just listen to a song – Television Screens is my favourite on the album. If you fancy checking out Fontaines D.C., their new album ‘Dogrel’ is out now. If you like what you hear, you can see them on tour this autumn, or at Citadel festival in London!